What Is The Buildup In Your Belly Button Made Of? In today's issue of "gross things we like to talk about," we tackle the stuff you find inside your pusod. You know, that icky gray residue you dig up when you're cleaning your belly button in the shower. 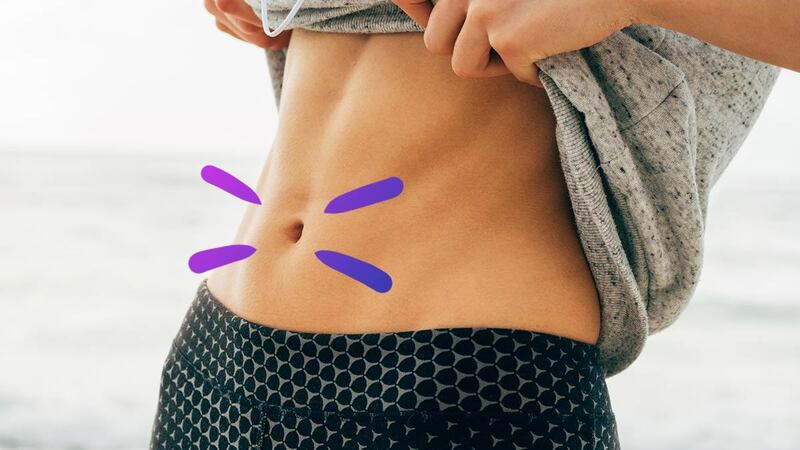 In case you were curious, Dr. Sejal Shah, board-certified dermatologist, explained to Allure where it comes from: "Belly button lint is a combination of fibers from clothing, dead skin cells, residue [from] sweat and oil, and other debris." Umm, okay. Yucky much? Dr. Soren White pointed out that this happens to people born with navels that go inward. Shah also explained that the thicker body hair you have, the more likely you'll find *fluff* in your pusod. See? It's normal! But if it's really bothering you, they both advised that regular cleaning is key. Use a cotton swab to purge the buildup when you're in the shower. Alternatively, you can try the same method mommies use on babies: Dip a cotton ball or swab in baby oil and use it to wipe off all the residue.